this weekend was... well i worked. a lot. i worked at work and i worked to prepare for a yard sale and i worked around the apartment. so to say i'm a bit tired on this monday (as proof, i'm not getting this post up til 4.30 PM! ), is an understatement. this morning was comprised of a furniture install that took my last bit of energy, and while i'd love to go home and nap after work, you'll find me in the grocery store. i'll potentially be zombie-walking so don't be nervy if you see me there. 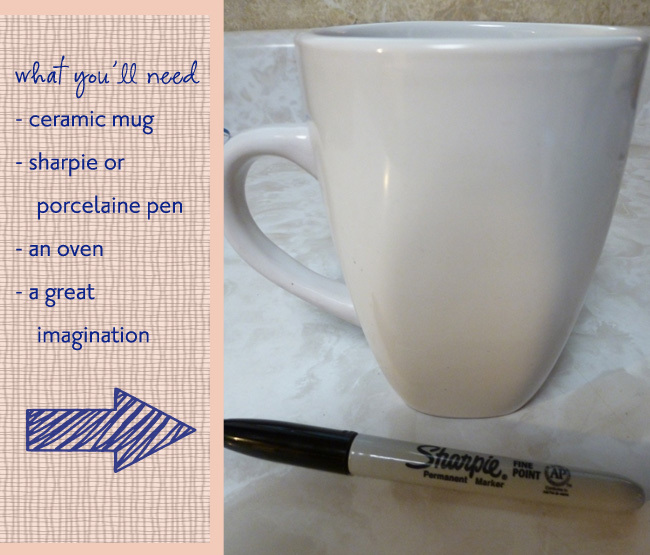 sunday afternoon i took a little time to try out a DIY i've been wanting to do... the famous, personalized coffee mug. i thought i'd share my success with you favorites. the possibilities on these are endless. my "things i love" mug is covered with a listing of things that make me smile which ensures a great start to the day. and now a pretty picture. just because i can. 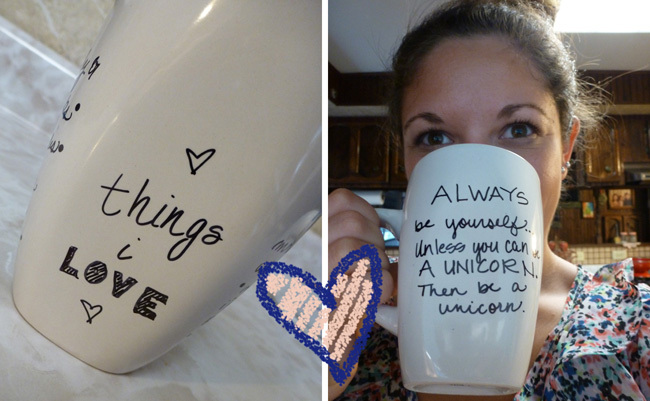 have you tried to make a personalized mug? how would you fancy up yours?